1. I started 4 triathlons and 2 running races. One of the triathlons resulted in a whopping personal worst (read about it here). 2. Triathlon notoriously beats up the body. We hear all about sore muscles, crotchitis from the bike, and unparalleled fatigue. Here is my ugly secret. My feet are ravaged. They are dry and cracked and I currently have 9 toenails, one of which is about to fall off. 1. I started 4 triathlons and 2 running races. I DNF’ed two of the triathlon due to injury. I miscalculated my health and set myself back physically and mentally by racing too soon. 2. Many of my blog posts this year focused on my injuries from the fateful 2009 Clearwater bike wreck. Too much time and energy was spent on figuring out what was wrong and how to fix it. I am ready to put the past behind me and move on to better things. I am slowly healing and I look toward next year as a new beginning. 3. I had grouchy tendencies. There were definitely times when Mark was ready to lock me in the basement. Luckily, he is very forgiving! 1. I started 4 triathlons and 2 running races. I won one triathlon (thus, keeping alive my streak of winning a race every year since 1997) and one running race, both at the tender age of 40. 2. I turned 40. I viewed turning 40 with trepidation. But, once the day arrived, it was really not a big deal. I am looking forward to the next chapters of my life. 3. Mark and I adopted a puppy. Diesel has been an excellent companion. He hikes, chases the Frisbee, naps like a champ and is just now starting to run. Apart from his flatulence, which I can do without, he has been a lot of fun. 4. The athletes I coach had very successful seasons and achieved most of the goals they set out for themselves. Answering the phone and talking with an athlete after they had a great race is exhilarating. 5. My work at CU continues to be exciting and innovative. I won’t bore you with details, but suffice it to say, that I love what I do at CU and am thankful they still keep me around. I am not huge on making New Year’s resolutions. They are usually unattainable, and we should always strive for improvement anyway. 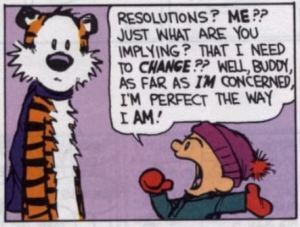 However, I do have one goal/resolution that follows me from year to year. I try to laugh on a daily basis. It may seem banal, but most situations are easier to handle with a smile. Humor is my favorite antidote to life’s predicaments; how angry can one be if they are falling over from laughter? I enjoyed following your posts and insights. I look forward to seeing how 2011 unfolds. Have a safe and Happy New Year! ditto – been fun reading your posts. 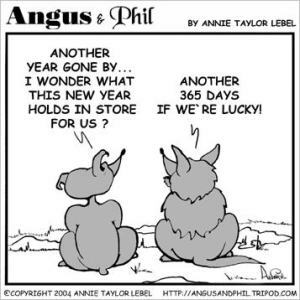 good luck in 2011! pfft, I have only 5 toenails left! 🙂 Good on yah for moving on from the bad and the ugly and embracing the good. Here's to a great year to come for all and to many more great posts to come.